The sun can be brutal on tender young plants. 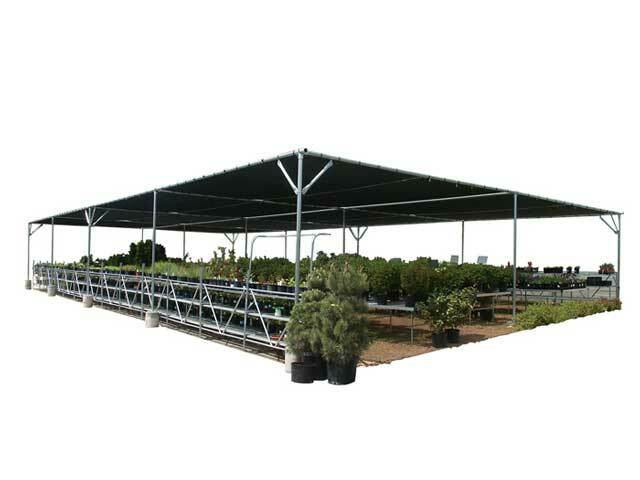 The Sun stopper will protect your valuable product from scorching and windburn while reducing water requirements. It features straightforward assembly, expandability and is built tough with 2.5" x 12 gauge, galvanized steel for years of trouble free service. Available in 10’ x 20’ and 20’ x 20’ standard blocks, the Sunstopper is also offered in custom configurations to meet your existing layout. 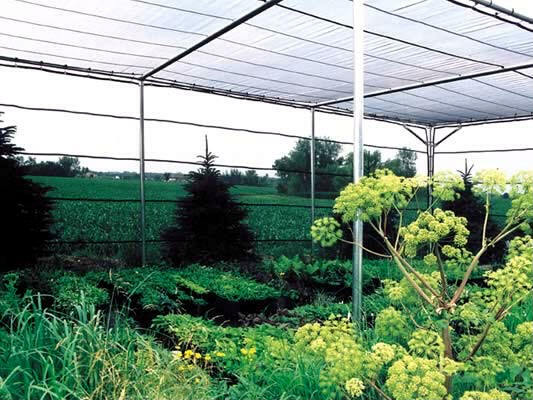 Commercial or retail, the Sun stopper is a low-cost solution. Easy attachment system provides for quick installation and removal. 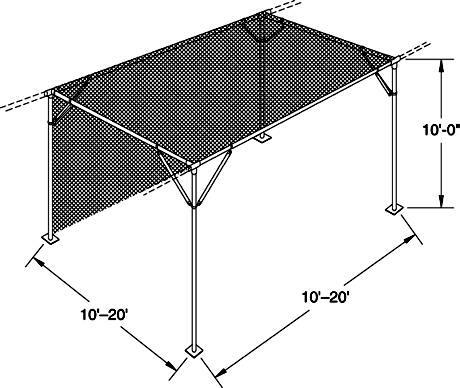 Shade Houses Sun-stopper complete packages include: 2.5” x 10’ x 12 ga. vertical posts with ground stakes in 20’ x 20’ blocks, 2.5” x 12 ga. x 20’ galvanized horizontal members, 60% black knitted shade cloth with taped edges and grommets, 10” canopy ball bungee every 18”, fittings, hardware, and assembly instructions. 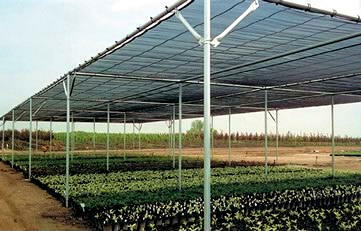 Kit prices based on 20’ x 40’ or larger shade cloth panel sizes. Smaller panel sizes will result in higher prices. Poly Film: Choose from 1-year or 4-year, 6mil poly covering. Available in clear or white. Poly Patch Tape: Poly Patch is the leading film repair tape in America. A complete first-aid kit for greenhouses, this easy-to-use patching tape bonds aggressively to polyethylene film. 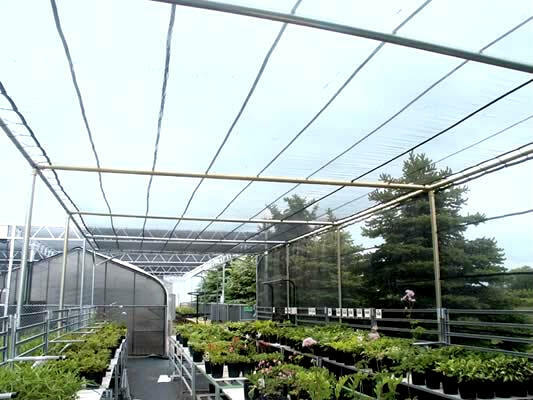 Wiggle Wire™ poly attachment system: Used on thousands of greenhouses, Wiggle Wire has proven to be a low-cost, effective system to attach polyethylene or shade material to greenhouses. Quick and easy to use, the Wiggle Wire attachment system requires no tools. Galvanized End Frame Packages: Optional galvanized end frame kit speeds set up and eliminates the need for any lumber. Heavy-duty swinging door includes 8mm clear polycarbonate sheeting.